Choose Your Waist Extra Small 20" - 26"Small 26" - 32"Medium 32" - 38"Large 38" - 44"Extra Large 44" - 50"
The model 94B is constructed of durable Safarilaminate and features the Coplok, a shatter-resistant, polymer buckle with a 3-point release for added security. 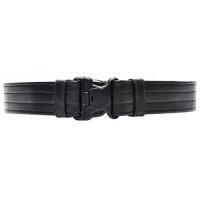 The belt is offered with unlined. Available in a 2.25 in. (58 mm) belt width. Plain,Extra Small 20" - 26"
Plain,Extra Large 44" - 50"
Plain, Large 38" - 44"
Plain, Medium 32" - 38"
Plain, Small 26" - 32"